In USTC_China iGEM13's project,we bulit the N-terminal TD1 modified GFP to make it is capable of transporting through skin barrier, then induced expression in BL21 and Bacillus Subtilis WB800N with IPTG and tested positive by SDS-PAGE and ultraviolet ultraviolet spectrometry. Students in Wen lab validated the efficient transdermal function of N-terminal TD1 modified GFP(not BBa_E0040 ). Figure 1. E.coli strain MG1655 expressing BBa_E0040 under control of BBa_K907004 after overnight culture. 3mL culture with M9 media in 14 mL round bottom tube(Top left two) and centrifuged cells in eppendorf tube(Bottom left two). 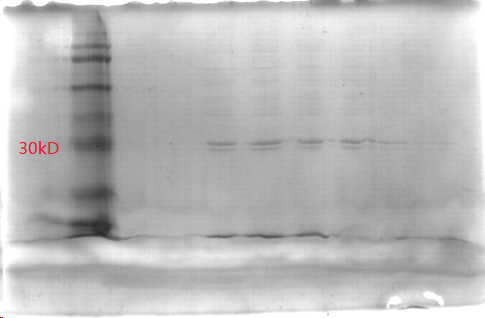 The expression of BBa_0040 is clearly observed with naked eye after overnight culture. BBa_E0040 was successfully used to produce GFPmut3b in E.coli strain MG1655 in LB or M9 minimal media under the control of promoter-BBa_J23119 and RBS-BBa_B0034 in the Dual Phase Protein Generator(GFP default), BBa_K907004. E0040 contains 2 dpnI sites. This is useful when using a part containing E0040 as a template for PCR because you can cut up the template via a dpnI digest. For this to work the cell strain that the template was purified from must be dam methylase+. This part was used by WHU_China team as a reporter of long-term oscillator. Information from the website of this part shows that its length is about 720bp; however, the result of restriction enzymes cleavage experiment showed that it is actually about 1kb. And after several attempts, we failed to assemble this part with other biobricks. The function of this part was characterised and quantified in a new salt-responsive device. The GFP encoded by BBa_E0040 was hooked up to an OmpR-responsive promoter (BBa_R0083) via a ribosome binding site (BBa_B0034) to produce a new composite part (a reporter) (BBa_K1012005). GFP fluorescence could be detected in an E. coli chassis, and we used an envZ mutant strain to show the sensor was working correctly. Designed by Brasil-USP team, BBa_K1819000 is a GFP coding sequence with an N-terminal linker, which is 5’-flanked by NdeI restriction site. It represents an improvement from BBa_E0040 due to addition of NdeI restriction site, allowing other IGEM teams to express a chimera C-terminally attached to GFP, which exhibits bright green fluorescence when exposed to light in the blue to ultraviolet range. NdeI restriction site avoids any additional amino acid residue(s) between coding sequence and the fused N-terminal tag, ideal for recombinant protein expression. We also submitted BBa_K1819000 as a new part. Tianjin 2015 made a fusion protein using GFP with hydrophobin sJanus to make a novel and efficient protein extraction system, and the part is BBa_K1582004. 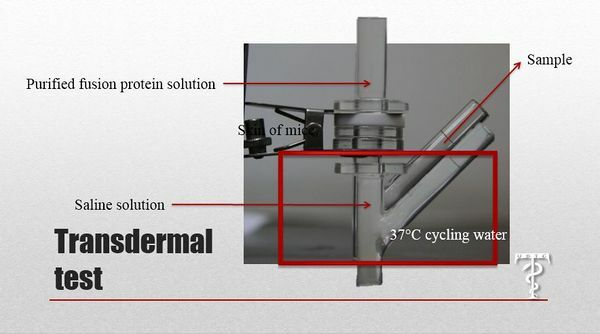 It is used to test the efficiency of Janus-based protein extraction system and provide the basic data for model to be used by more proteins. This provides a new way to purify GFP and other proteins. We used this part as a reporter protein in a cell free system. We found that there was observable fluorescence from this part and experienced no issues with expressing it in a cell free system.